« Episode 36: Interview with Mel Novak! Frantic role-playing shooter meets dialogue based adventure? How is that going to work? 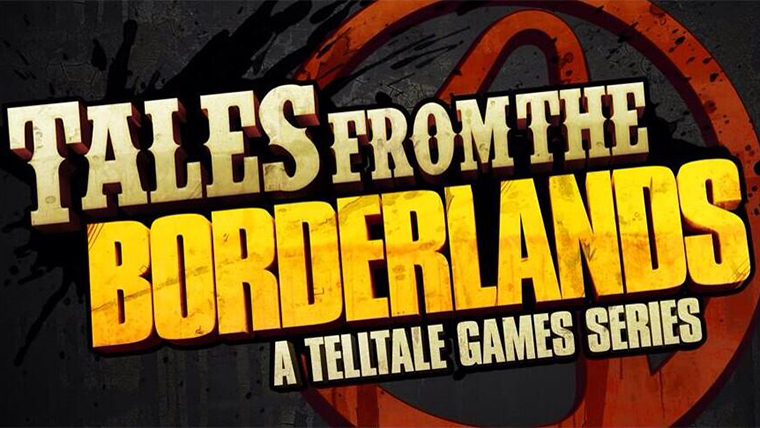 This Uncommon Geek takes a look, in a review of Tales From the Borderlands: Episode One! Oh, I am such a Borderlands junkie, and it delights me to get another opportunity to dive into Gearbox’s insane world so soon after the release of Borderlands: The Pre-Sequel! This new game represents a fresh take on the franchise, and is the work of Telltale Games, the same studio responsible for a popular adaption of The Walking Dead, as well as The Wolf Among Us. I admit, I haven’t played either of those previous titles, and going into this, I was only somewhat familiar with the style of game this was going to be. Tales From the Borderlands is effectively a point-and-click adventure, that is heavily based upon dialogue and player choice. The best way I can think to describe it, is that this game is a combination of “choose your own adventure,” the timed events of Dragon’s Lair, and hints of Mass Effect style dialogue. To me, this combo is a refreshing throwback to older styles of adventure games, and it fits surprisingly well with the zaniness and action of the Borderlands universe. Tales takes place after the events of Borderlands 2. Handsome Jack is dead, but Pandora is still reeling from his influence, and employees of the Hyperion Corporation are scrambling to fill the power vacuum left by Jack. One of the two protagonists that you get to influence, Rhys, is a Hyperion employee who aspires to the same greatness that Jack once possessed, but as you start to take control of him, the wheels of corporate politics threaten to run him over. The second protagonist, Fiona, plays a big part in the shenanigans which draw Rhys and his friend Vaughn to Pandora, and the two parties end up being thrown together in a desperate quest to retrieve a briefcase filled with ten million dollars. The zaniness that unfolds in this quest is classic Borderlands: crazy, funny, over-the-top, and a joy to watch unfold. This game has a very basic core gameplay model. There are some quick time events, however most player input is not based on twitch response, but rather dialogue choice. Tales is driven almost entirely by dialogue and choice, which means that a lot of how well it immerses the player depends on the writing and the voice acting. And I have to say, WOW, this title has some stellar voice acting. When you look at the cast, of course it should come as no surprise, especially when the legendary voice of Nolan North is present. You also get Troy Baker, Laura Bailey, the one and only Chris Hardwick, and Patrick Warburton! When I heard Patrick’s voice (as the sleazeball antagonist, Vasquez), I nearly stood and applauded in my gaming room. For those actors who I forgot to mention by name, I apologize. This is a stellar cast and some of the best voice work I’ve heard put together in a single title. The soundtrack in Tales is quite excellent. It pulls more cues from the first two Borderlands games than Pre-Sequel did, and gives a better sense of the whole outlaw, western on-its-ear vibe that I find so charming. The sound effects are spot on and do a great job of keeping this spin-off feeling tied to its big brother role-playing shooters. Graphically, Tales is perhaps a little weaker on detail than the main games, but the character design and art direction is so good that I consider this to be a non-issue. However, sadly, Tales From the Borderlands does lose a few points from me, mainly on a technical level. The loading is occasionally choppy, and I sometimes experienced unusual stalling on the loading screens. As this is a digital release being played direct from a hard drive, I found that to be strange. Also, while the music itself is good, there seems to be some glitchiness with how the tracks are played. There was some really loud, intense music that would play during an action cutscene, and then just keep going through successive parts of the game, right on top of quiet dialogue that wasn’t meant to be heard over some of the loudest, action-packed bits of the soundtrack. If there was a better balance between the sound levels this might not have been as much of an issue, but the options menu only lets you tweak the master volume and the music (unlike most games where you can change the settings for music, dialogue, and sound effects individually). Also an issue is connecting to the Telltale Games servers, which were unavailable at the time of this review. I would also be remiss to not mention being disappointed in the lackluster and not even remotely challenging list of achievements/trophies in Tales. My only other issue with Tales, and I won’t dock points for it because it is chapter out of five, is that my choices didn’t feel like much of an influence over the plot. You get to make some pretty interesting decisions throughout this game, but I didn’t come away with a sense that any of them mattered that much. My hope is that I will feel differently once the subsequent episodes are released, and I get to see consequences for what I did in episode one. Overall, I consider Tales From the Borderlands to be a fun, refreshing take on a beloved franchise, and it is well worth the five dollars I spent on it. Fans of Borderlands and of the other Telltale Games should really dig this new series.